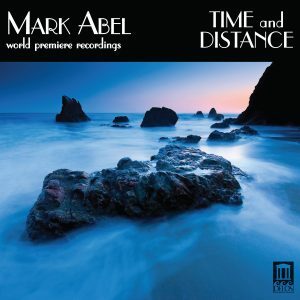 Mark Abel Recaptures the "Enchantment of Song" | Delos Music | Outstanding Classical Recordings for over 40 Years! “Too plentiful to enumerate are the passages in this music that are so wrenchingly private that they may compel the listener to ask, ‘How can this man whom I have never met know so much about my life?’ This intuition, uncanny and unifying, is the foundation of Abel’s unique musical language and the quality that makes Time and Distance a disc that severs new veins of raw emotion each time that it is heard. “In Those Who Loved Medusa, Abel utilizes a provocative text by Kate Gale as a catapult for some of his most theatrical music. Materializing in an atmosphere that undulates with the jangling of pseudo-ancient crotales … , the voice of soprano Hila Plitmann shimmers against the backdrop of Carol Rosenberger’s pianism like a mirage of a lone Joshua tree in the Mohave, ephemeral but identifiable. Plitmann’s moonlight timbre contrasts markedly with the bleak imagery of the words … . “There is an unmistakable kinship between the prevailing mood of Abel’s The Nature of Friendship and the emotional claustrophobia of Emily Dickinson’s poetry. ‘Platonic love’s a most welcome narcotic’ and ‘They’d have kicked you off the Titanic’s lifeboat if it came to that’ are lines that the reclusive genius of Amherst might have written … . “The Ocean of Forgiveness is a musical edifice as complex as the ideas that dwell within its depths: … These songs impart a genuinely moving awareness of the fear of drowning that prevents many people from surrendering to the tide of absolution. “Plitmann and pianist Tali Tadmor find in the surging plangency of The Benediction aspects of all of the (album’s) songs, revisiting the disparate tributaries of the disc’s primary expressive flow with an air of resolution reminiscent of the music that follows Brünnhilde’s immolation in Wagner’s Götterdämmerung.